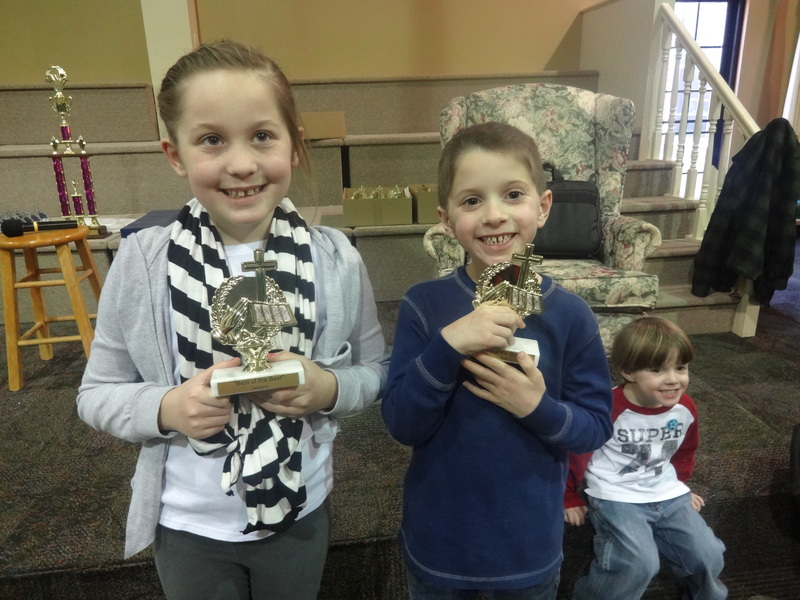 Bible Quizzing has been such a great time for us! We had never participated before, mostly because we were always having an infant and we just thought it was too much work/study on our part. Quizzing is a short few months of the kids studying wone book in the Bible doing most of the work during their Sunday School class. At home we would read through the stories and fill in the blanks using the kid’s workbook. For Maddox, Mark or I would sit on his bedroom floor at night using the light from the crack in the closet door and read his stories and questions to him. This helped him to soak in the information, and what better way to fall asleep than listening to God’s word! Sometimes when I would ask a question, Tanner would answer! Double score. The book lists out 20 questions for each story that the kids will be asked on the official quiz. Quizzes are held in area churches on Saturday mornings. Only 5 quizzes total. It was great time of learning God’s word together and we will definitely be doing it again! Emma and Maddox studied the book of Genesis over several months. Emma did very well in all of her quizzes and even got a top 15 award for our TN area! Maddox did very well also, but the quizzes are held in large rooms full of squirmy kids and it’s harder for him to focus in those environments so if he got a bad roll of answering wrong it was hard for him to recover. We are so proud of them both because they have learned God’s word not because of right or wrong answers. Our last and final quiz was over the whole book of Genesis and it was held in mine and Mark’s old stomping ground…Cookeville! It was so fun to go back and visit. We were actually at the church where we got married. Then we took the kids on a tour around town showing them where Mark used to live, Tennessee Tech where we met and the neighborhoods where we used to take walks together. It was so fun. 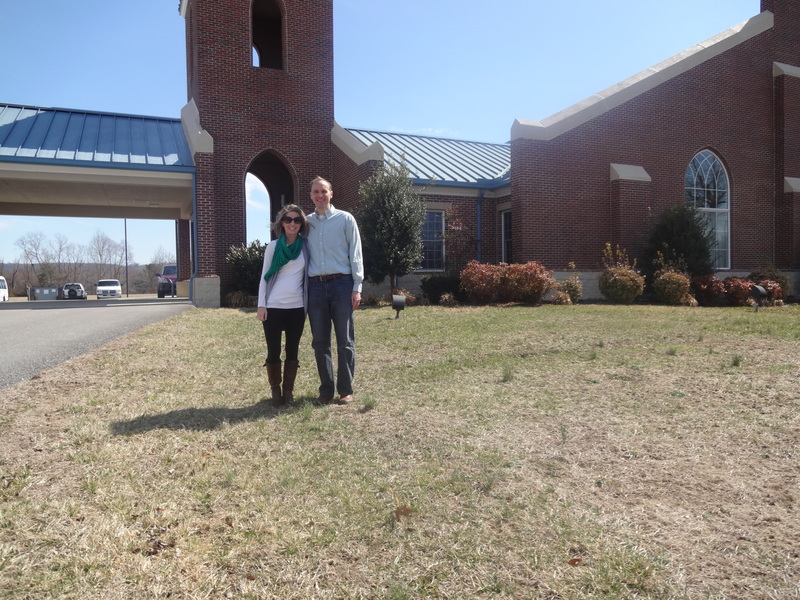 Emma took this picture of us at the church. 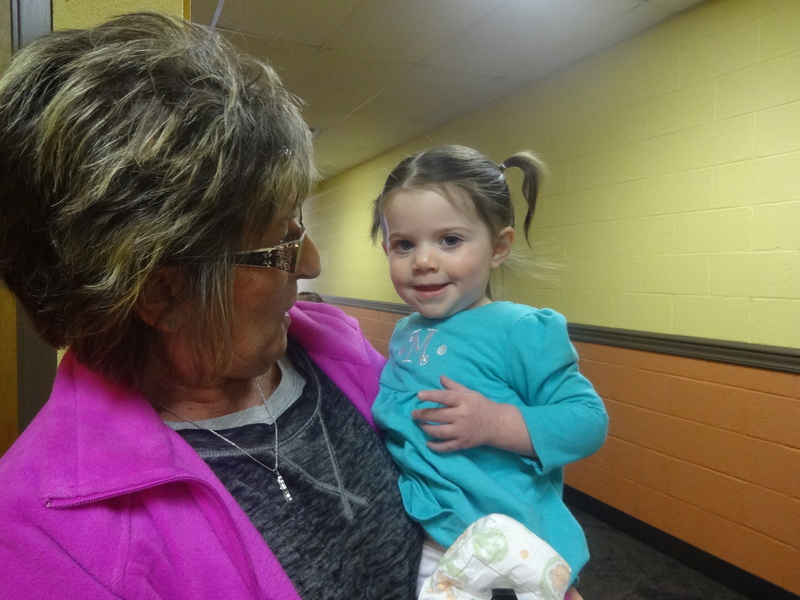 Nana made the short drive to be with us and watch the littles while we watched the quiz. We have a lot of bible quizzing in our future!